I will reveal no big secret that on the night when email notifications of PASS Summit selection are sent, I can’t get a real sleep, no matter how hard I try. PASS Summit is the biggest and the most important event for anyone working with Microsoft Data Platform, and if there is just 1 event you can visit per year, then this one is definitely the event you should be looking forward to. It is incredible that this year, like in 2014, OH22 have 3 session at PASS Summit, with Tillmann Eitelberg & Oliver Engels are coming back to deliver The Reporting Machine! session and the highlight for anyone watching this space will be Oliver co-presenting A Concept for Clean Reporting: Information Design Rules for SSRS and R session with the Gabi Muenster. Gabi is an amazing specialist and anyone who has ever attended her session or spoken with her, knows that besides being possessing great knowledge she is an extremely humble & polite person. For a rather small (~50 people) european company, I am extremely proud to say that year after year we have a steady number of presentations at all major events dedicated to Microsoft Data Platform. Even more importantly for me to see new speakers like Gabi Muenster and Julian Breunung from OH22 to gain their traction and space in the world of Microsoft Data Platform. 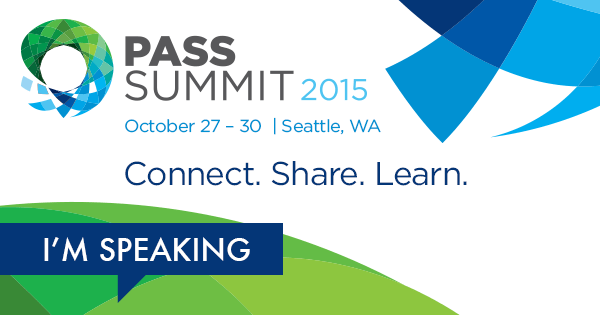 If you have not registered for PASS Summit until now, don’t waste a minute and register for PASS Summit 2015, especially since you can see all the amazing content that will be available there.